So by this point you've expressed some interest in filmmaking, hopefully with a general sense of what you might actually like to do. You've made some shorts with your friends, as part of class assignments, or on the other hand, haven't had the opportunity to explore things to your full satisfaction. The question inevitably crosses your mind, should I go to film school? It's true that one of the biggest lessons regarding film school I can address is whether you should even go in the first place. This is a personal issue that will ultimately be decided by your finances, ambitions, opportunities elsewhere, and (here's hoping) your maturity. While these points may seem self explanatory, in a completely independent frame of thought you need to consider what it is that you want to learn, and even more so, what you're willing to sacrifice to do it. No matter what your choice their are immediate obstacles. There's also a reason why it seems that more than half of the people I went to film school with aren't seriously pursuing a career in video anymore (or have simply relegated it to a hobby). There are lots of paths, and film may be a springboard to a variety of careers not on a film set. Depending on your location, you can always get work as a production assistant on a film set (or similar job) right out of high school. That's an opportunity to move up the ladder in the time that you'd be spending at school, not to mention a way to avoid potential school debt. On the other hand, if you want to focus on theory, make a lot of connections with other people in your situation quickly, or give yourself some time to experiment and develop confidence in your own skills, then university/film school is a widely accepted (if not obvious) way of doing this. There is no right answer, and at the end of the day, you're still going to be driving what you get out of the experiences that come your way. I chose to go to film school, because frankly, I didn't think there was any other realistic option for me at the time. I banked on the fact that it was a foot in the door. I knew there was a lot I needed to learn, and wanted practical advice on how I could approach movie-making in 'industry' terms. As someone who had played largely by the rules in high school, film school became my opportunity to challenge myself, stretch my boundaries, and really grow up. The decision to go or not is especially contradicting for me as I spent 6 years in production courses and then left without graduating, only a semester remaining, confident that there was nothing else the experience had to offer. I took the journey, but left without the degree. My foray into post-secondary media production and studies was more valuable for what I achieved outside of the classroom than what I did in it. Ironically, it was my dissatisfaction with what my film courses were providing me that pushed me to take a more independent approach to begin with. I found success in student film festivals and other online competitions that provided some of the greatest lessons and rewards of my academic life. The opportunity for young filmmakers has only increased by using resources like Facebook, YouTube, etc. as a way to market themselves. All of this stuff really took off during my time in film school and I jumped on board in a big way. Going to film school for me was just as much about going away. I left the city I grew up in for a place that I knew no one. 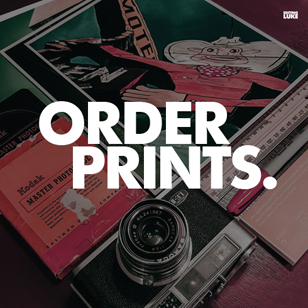 It wasn't the easiest choice, but the decision thickened my skin and put me in a frame of mind that demanded I try new things, question my reasoning, and (in all ways) progress. Your strength as someone who makes a living creatively can easily grow out of a profound sense of self, and in my story this was the case. Whether you go to film school or not doesn't matter as much as what the reasoning for your decision is. 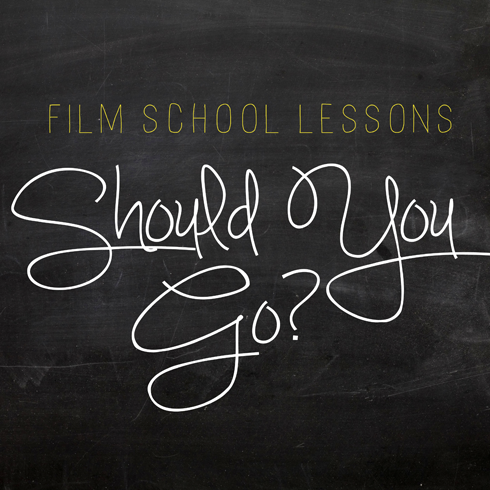 Film school provides a package deal (an expensive one), but the information and tools are widely available to define your terms and gain experience if you so chose. Be warned though, a committed day job (which you'll begin to justify the longer you're there) mixed with real life can easily crush creative ambition and stagnate your dream if you don't have the ability to motivate yourself. I'd argue that most people in fields like this get stuck, give up, and move on (which is fine) but, if you really want anything you can't stop working towards it. You might not realize it yet, but your time is valuable.